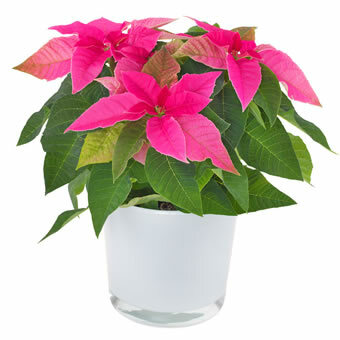 A beautiful christmas poinsettiain pink. Surprise someone with a fabulous Christmas poinsettia. Delivered in a glass pot.